David Nantais has managed to do some pretty amazing things in just 184 pages. He speaks of the history of rock, consumerism, social justice, faith, prayer, morality, and so much more. Let's make this simple. If you are a fan of rock and you have ever wondered or questioned if rock music might be "bad", this is totally your book. Nantais is a bigger music fan than any of us and he has definitely done his research, thinking, and praying. A tiny spoiler alert, but I think you need to know this. 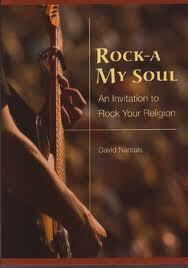 Nantais does not consider rock evil and he has a very compelling case. David Nantais is a freelance writer and can be found here.